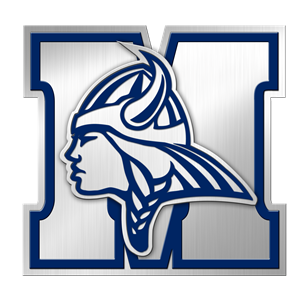 The Maclay Marauders (16-10) will advance to Regional Finals after defeating the Providence Stallions (17-12) in four sets on Friday night at Maclay. The game was a constant battle on both sides of the net. With 17 kills in the first set alone, the Marauders were able to defeat the Stallions 25-13. “After we won the first game I was really excited because we have been practicing tough in preparation for this specific match and our preparation paid off,” said junior middle blocker Melanie Canfield. Six of Canfield’s 19 kills occurred during the first set. The Stallions pushed back in the second set, defeating the Marauders 25-23. Freshman outside hitter, Kamara Kelly, stood out for the Stallions. Kelly was able to hit, block, and dig her team to the second set victory. Senior outside hitter, Rebecca Rowan, also assisted in the Stallion victory with several kills and digs. With the sets tied 1-1, the third set was a crucial victory for the Marauders. With six blocks, ten kills, and several aces, the Marauders won 25-18. Sophomore outside hitter, Jewel Strawberry, had seven digs in the third set, as well as five kills. “We came into the third set refocused, and we gained our momentum back to turn the game around back in our favor,” said Strawberry who had a total of 14 kills and 24 digs after four sets against the Stallions. The fourth and final set was a Marauder victory 25-16. In just the fourth set, the Marauders had 11 kills, 16 digs, and two aces from sophomore setter and right side, Siena Kole, and junior defensive specialist, Libby Dixon. The Marauders advance and will play P.K. Yonge -Gainesville Tuesday night at Maclay.